The anglers are all packed and ready to go. Sean S. and his wahoo. Harlan M. and his nice wahoo. Dominick and his nice yellowfin caught at sunset. 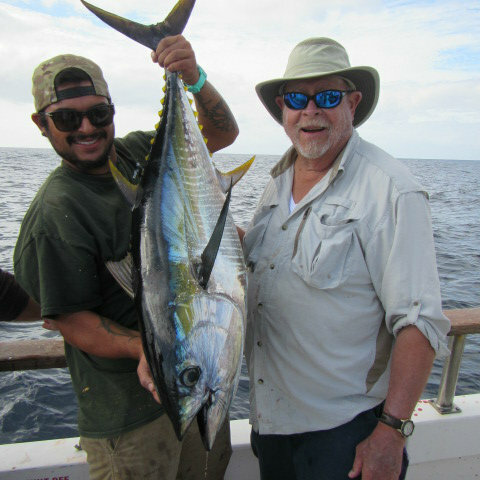 Rod C. and his premium yellowfin. Dylan B show off one of his quality yellowfin tuna. Ted O. and is nice catch. Happy anglers and their wahoo.